"All debts incurred in any year after the ratification of this article shall not exceed one tenth of the total revenue raised in the two years immediately prior to that year. But Congress may, during that year, by a vote of two-thirds of each house, increase such limit for that year." "Section 1. Congress shall make no law respecting education or labor, or abolishing, interfering with, or impairing the power of each of the several States to promote and regulate that of its citizens. "Sec. 2. After seven years from the ratification of this article, the sixteenth article of amendment to the Constitution of the United States shall be inoperative, and no taxes on incomes, from whatever source derived, shall ever be laid by the Congress. "Sec. 3. 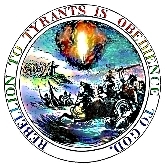 Taxes, duties, imposts, excises, fines, penalties, or payments shall not be imposed on citizens of the United States by the United States by reason of failure to manufacture, sell, transport, deliver, import, consume, purchase, own, lease, rent, contract, store, export, keep, hold, have, or use any thing, including any service." "The President shall take care that the laws be faithfully executed, and shall not suspend, alter, or delay or prohibit the execution of any of them or any thing in them." "Section 1. All persons born or naturalized in the United States, and subject to the jurisdiction thereof, or born to a citizen thereof who has been seven years a resident within the United States, are citizens of the United States and of the State wherein they reside. "Sec. 2. Every person born in the United States to two citizens thereof is a natural born citizen. "This section shall not apply to any person who entered on the execution of the office of President of the United States before this amendment becomes valid as part of the Constitution." "Section 1. The power to give in one State full faith and credit to the public acts, records, and judicial proceedings of another with respect to marriages and other domestic relations contrary therein to the constitution or laws of such State, and to define therein all such relations, is reserved to the States respectively; and the judicial power of the United States shall not be construed to extend to any suit in law or equity, commenced or prosecuted against one of the United States with respect to any such relation whatsoever. "Sec. 2. Congress shall make no law respecting marriage or other domestic relation, except what may be absolutely necessary for carrying into execution its powers and all other powers vested by this Constitution in the government of the United States or in any department or officer thereof; and nothing in this Constitution shall be so construed as to affect in any way the power reserved to the States respectively by this amendment." "No private property taken for public use shall be made private without the consent of the person or persons from whom it was taken or of his or their lawful heir or heirs." "No state or part of a state may secede or be excluded from this Union without the consent of the legislatures of three-fourths of the several states; and in the case of part of a state, such consent shall include the legislature of that state. But no state or part of a state, following its secession or exclusion, nor any portion thereof, may be admitted into this Union as a state or part of an existing state without the consent of the legislatures of three-fourths of the several states; and in the case of part of an existing state, such consent shall include the legislature of that state." "Section 1. No person shall be capable of being a Representative for more than six years in any term of twelve years, or a Senator for more than eighteen years in any term of thirty-six years. But this article shall not be so construed as to affect the election or term of any Representative or Senator chosen before it becomes valid as part of the Constitution. "Sec. 2. No person shall be capable of being a Vice President who shall not be capable of being elected to the office of the President, or for more than twelve years in any term of twenty-four years. "Sec. 3. Judges, both of the supreme and inferior courts, shall hold their offices during good behavior. But no person appointed after the ratification of this article shall be capable of being a Judge for more than twenty-four years in any term of forty-eight years." The annual limit of new debt is tied directly to an always known and fixed quantity — i.e., last two years' total revenue — instead of one always subject to bureaucratic revision and defining, like Gross Domestic Product. Expecting a judge, much less the people at-large, to understand fully all the economic intricacies involved in the latter is just one more layer, probably too thick a one, that must be added between profligate spending and any enforceable limit. Moreover, circumstances a hundred years from now may render the very term itself obsolete and, in turn, the spending limit based on it a dead letter. But basing that limit on no more plain and irrefutable a fact than the "regular Statement and Account of the Receipts and Expenditures of all public Money... published from time to time" as already required by our Constitution, would place our growth of public debt under much longer lasting constraints. In time of war or public danger, when limiting new debt could be unwise, Congress has power to temporarily increase the annual limit by a supermajority vote in each house. But both houses must pass that increase in and for the same calendar year, and do so every year until the war or danger ends. Congress may increase the limit in other times as well. But its members must justify those votes to the satisfaction of their electors. Eliminating the federal education and labor bureaucracy, the income tax, and every clearly dictatorial individual mandate that now plagues us and threatens all of our most deeply cherished liberties, is this amendment's purpose. The first section recovers what never should have been taken outside the sole purview of our states. There certainly is no delegated power enumerated anywhere in our Constitution for doing so. We cannot allow a few generations of federal courts to regard our Tenth Amendment as a mere "truism" any longer. It is the substance of our liberties. We only loan the federal government some of our powers. That is not an invitation for it take whichever of ours it pleases. This correction of that increasing abuse and outright theft of them is way past due. The second section gives us and our representatives in Congress seven years to take out of service forever the overly misused IRS assault weapon system, and replace it with a taxation method highly respectful towards basic human rights and dignities. That may mean the consumption-based fair tax with its monthly prebates feature, or the more general and minuscule transaction tax. Whatever method we finally decide to adopt, it cannot help but be infinitely more just and equitable than the multimillion-word monster crushing us now. The final section addresses the latest, most blatant abuse and theft. Nothing undermines more our longest held principle of strong but limited government than a central government that steals our most basic power to decide for ourselves what is right and best for us, then punishes those who choose not to conform to decisions it feels it alone can and should make for all of us with little if any reference to, much less reverence for our will. Such government is no longer limited, not only in terms of unmitigated power, but in its colossally smug, yet wholly unwarranted feelings of infallibility and self-righteousness. That government, in its hubris, has completely isolated itself from the one true source of all of its powers — namely, us — and thus sets itself up as an object of absolute scorn and ridicule, unworthy of any self-respecting person's support, let alone any of that servile deference it must ever increasingly demand. There can be no government more insecure and weak than one that actually believes it has to resort to such unprecedented power grabs. No president can or should unilaterally and capriciously insert in a just-enacted law, contrary to its written provisions, arbitrary, inequitable, or politically opportunistic postponements, with or without vague or inapposite references to decades-old law containing discretionary language which neither contemplated nor expressly intended such a far-off, future application. "I can do whatever I want" is never sufficient or a valid justification, not even in what is left of our constitutional republic. It is sad we should require an amendment to close loopholes where, before this administration, none ever existed — when we had presidents who were mature enough to take seriously their oath to "take care that the laws be faithfully executed." This is another case in which, before this administration, there existed no gaping loopholes in Article II of our Constitution. Every president not only was born in the United States, but was born to parents who were both at the time United States citizens. This meaning of "natural born citizen" was the one our nation wisely followed and flourished under for eleven score years. But rather than fundamentally transforming its meaning, we would be wise to follow once again — and keep following — the one that always worked for us. Under this amendment, we can. As stated on this site last July, under present circumstances, the best if not only method available by which our states truly can promote and safeguard our consent, especially with respect to marriages and other domestic relations, is a Convention of the States for proposing amendments like this one. Under it the policy of our respective states would be to each its own, and no branch of the federal government has any say in the matter. In other words, mind your own business and we'll mind ours. Cannot get any more American than that. This amendment modifies the federal supreme court's order that allows any government to take private property then turn around and sell or give it to some other individual or private concern whom that government feels can pay it more taxes. These robbing hoodlums with public titles may continue to take from the poor and give to the rich, but they will first have to get the permission of their victims before they may profit from their crimes against common decency and fairness. Our great, great, great grandfathers could have avoided much agony and bloodshed had they directed their energies instead towards ratifying and utilizing such an amendment. But all that is water under the Burnside Bridge. Of concern now is whether any state, against its people's ardent wishes duly expressed through their democratically chosen representatives, should be forced to maintain a political connection between it and a union whose government, as they have themselves determined, has irreconcilably become incompatible with or even inimical to their most solemn and enduring aspirations and is thus unfit to command ever again their allegiance, and otherwise seems less likely to effect their safety and happiness than their own government could were theirs a free and independent state. Expressed through their respective ratifying conventions, it was the choice of the people of two-thirds of the original states to enter into "a more perfect union" which established our federal government. The people of the remaining states soon chose to enter into it as well. Under that government, Congress admitted new states. 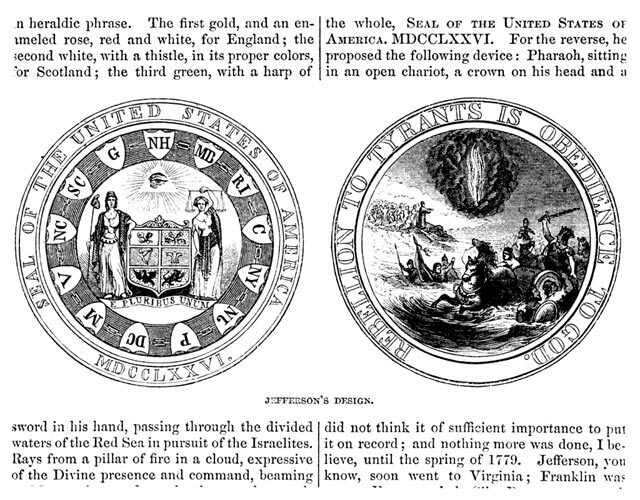 Moreover, unlike the previous union, states are absolutely prohibited from entering into any treaty, alliance, or confederation; and it took a disastrous war between them to settle the question of whether the people of a state may even choose to exit from the union alone, without entering into anything else. The union's highest court opined they could not. This amendment provides our states a mutually agreeable exit mechanism. It also provides for a former state's reentry into the union, as well as expulsion of an existing state. These provisions apply to parts of states, too. Once a state's succession or exclusion is consented to by three-fourths of the state legislatures, it is no longer part of the union. For all intents and purposes, it has become a foreign nation — a free and independent state that has "full Power to levy War, conclude Peace, contract Alliances, establish Commerce, and to do all other Acts and Things which Independent States may of right do." This is true for any seceded or excluded part of a state, provided those consenting legislatures include that state's legislature. Subsequently, that state or part may be admitted back into the union if the legislatures of three-fourths of the existing states consent. Joining it to any existing state as an enlargement of the latter's territory is permitted. Finally, a legislature may withdraw its consent any time before the secession, exclusion, or admission occurs. It may also submit the question of granting or withdrawing its consent, or both, to a vote of the electors in the state, and condition that grant or withdrawal on the result. This amendment effectually establishes a check of last resort by our state governments on the federal or an errant state's one, alleviating or more constructively channeling any otherwise extremely serious and insoluble disaffection within our ranks. As the number of legislatures consenting to a particular secession or exclusion grows, so too does the incentive to explore and enact acceptable reforms. Should this fail to produce agreeable reforms before the secession or exclusion occurs, it will be forever clear that the offended or offending party's exit from our union was at the time in the best interests of both. Without such an amendment, there is available to no group of people any possible exit from our union except by winning a civil or revolutionary war. The first two sections are from an amendment suggested on this site six years ago. Quoting its relevant notes: "Term-limits language taken from Articles of Confederation, Article V. The terms of delegates in Congress was for one year, but 'no person shall be capable of being a delegate for more than three years in any term of six years.' Similarly, representatives and senators may serve no more three times their normal term during any period of six times their normal term. "The amount of time served by those in Congress before the amendment's ratification is not counted." The last section limits the number of years a federal judge appointed after this amendment's ratification may serve in the judicial branch. The lifetime appointments of sitting judges are not affected. These limits are tabulated below. The Twenty-second Amendment already sets the maximum number of years a person may hold the office of the President: ten (two after a succession plus two 4-year elected terms). Another change we need is an amendment that restricts the Commerce Clause so it may never be used again as a bludgeon to pound the people into submission. Thankfully, as our movement progresses, we are getting closer and closer to adding a new bill of liberties to the supreme law of our land. "Barry Bonds" are just another Øliar scam. f you like your retirement savings plan, you can keep your retirement savings plan... until MyPARTY and I steal it from you and use it to bribe more and more and more voters with, and make them become completely dependent on more and more and more Big Government programs Bribes-4-Votes™, so they'll vote more and more and more of MyPARTY's members into office in order to keep more and more and more of those 'promised'* bribes coming their way, all while singing 'Eat, Drink, And Be Mired In Debt, For Tomorrow Our Country Dies.'" * "Teh Moon 'N' Teh Stars — so long as they keep giving me and MyPARTY more and more and more power to do whatever we want for to easily manipulable suckers, bitterly covetous and stupidly stuck on greed and selfishness, like them! In other words: Ends. Justify. Means. Much dissembling required." Labels: Democrat War on Americans, desperate liberals (BIRM), greedy and selfish liberals (BIRM), liberals are always extreme, lying liberals (BIRM), thieving liberals (BIRM), Worst. pResident. Ever. It's what Liar-n-Thief Baracrook Øfascist does. When the [liberal Brookings Institute] study breaks down the [Øfascist"Care"-subsidy re]distribution by tenths rather than quarters of the population, only the bottom 20 percent will see a net gain in income. In fact, the two steepest drops in average income come from the third and fourth tenths from the bottom, 0.9 percent and 1.1 percent respectively. The top tenth will only see a reduction of 0.3 percent in average income. Obamacare, then, not only discourages work and reduces economic activity and tax revenue through the payment of subsidies — that redistribution impacts the working and middle class disproportionately. One could hardly make a better case for repealing Obamacare, no matter how much confused spin and happy talk emanate from the White House and Capitol Hill Democrats. hen the Georgia House passes the application, the Senate secretary will transmit copies of it to the presiding officers of each of the legislative houses in the several states, requesting their cooperation. [T]he General Assembly of the State of Georgia hereby applies to Congress, under the provisions of Article V of the Constitution of the United States, for the calling of a convention of the states limited to proposing amendments to the United States Constitution that impose fiscal restraints on the federal government, limit the power and jurisdiction of the federal government, and limit the terms of office for its officials and for members of Congress. Since the states control everything that happens in their convention, and three-fourths of them must ratify whatever amendments it proposes before they become adopted, there's no danger of a so-called runaway convention that ends up fundamentally transforming our Constitution into Øbamarx's ejaculate-crustified copy of the The Communist Manifesto. For now, this appears the best alternative to some short-lived Civil War II in which beta/blue states wind up conquered and occupied by alpha/red ones. Labels: a Republic if we can keep it, non-liberal ideas (aka Good Ideas), our Freedoms' Defenders, patriotism, Power to the people, Sealing the fate of freedom's enemies, Yes Yes Yes. God Bless America.